Spring is in finally the air and the weekend is predicted to be the warmest it’s been this year so get out there and enjoy some of the great stuff the capital has on offer. Calling all grapple fans: what better way to celebrate Mother’s Day than taking your mum down to some all-female wrestling on the river! EVE Female Pro-Wrestling is a combination of death-defying and jaw dropping stunts and death defying leaps with laughs and a spot of cabaret chucked in. It’s all part of the Women Of The World Festival and best of all it’s totally FREE! 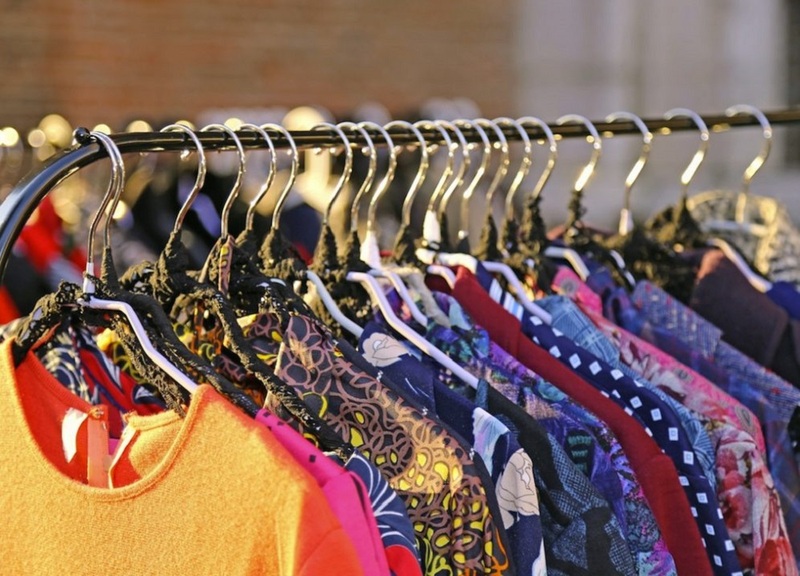 If you need to spruce up the spring wardrobe on a budget hit up the Beyond Retro Garage Sale! where everything on display is just a £5 or less. That means ALL dresses, jackets, jeans and coats are only a fiver, plus belts and accessories are just a quid! FREE to get in too. Sat 10th March, 10am – 6pm: Beyond Retro Garage Sale! Need some fresh fixtures for the flat? 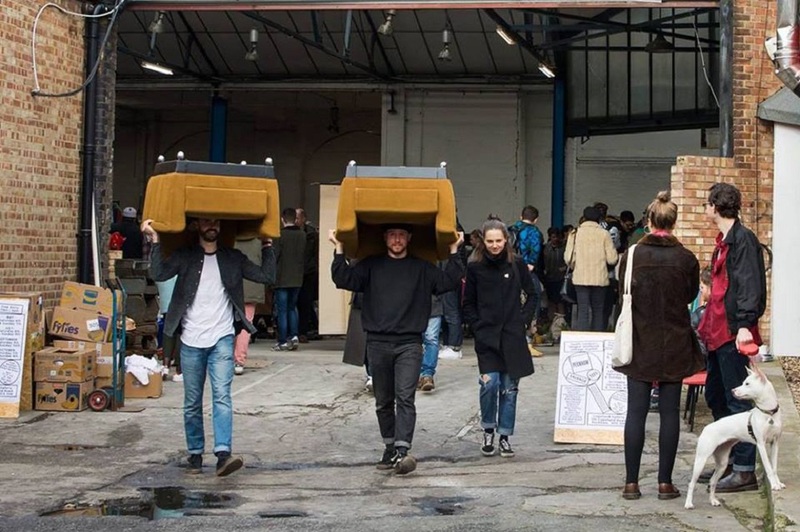 Swing by the FREE Peckham Salvage Yard for a day of bargain hunting and good old fashioned rummaging. Look out for vintage furniture, antique lighting and salvaged homewares among loads of other goodies to brighten up the home. The action happens next door to some tasty food vendors and cafes for if – and when – you get peckish. Celebrate International Women’s day (belatedly) with a weekend of talks, workshops, art showings and theatre at the fab Women In Focus Festival at the Poplar Union. Highlights include an interactive Capoeira class, a film screening and discussion of Under The Skin plus a live music show from Jazz Herstory Collective. The two-day event is FREE! Here’s a unique chance to shine a light on the often overlooked world of modern slavery at the incredible National Crime Agency’s ‘Invisible People’ exhibition at Westminster Abbey. 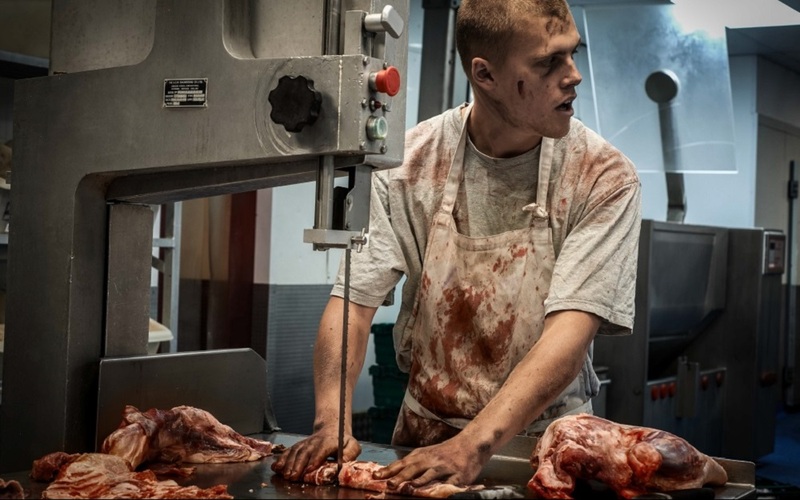 The NCA has teamed up with a host of photographers including multiple award winner, Rory Carnegie, to recreate the lives of those suffering beyond the fringes of society. The touring photographic exhibition is all part of the organisation’s campaign to raise awareness of slavery and human trafficking in the 21st Century. 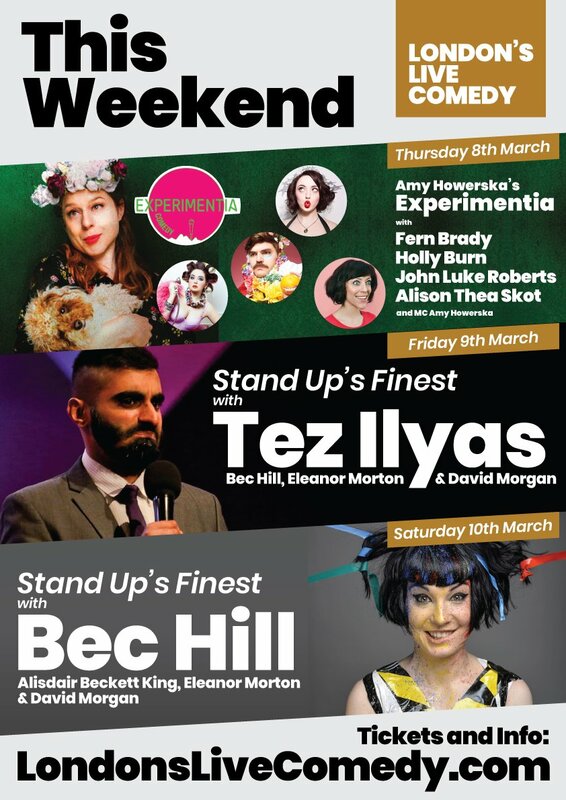 Take in a comedy evening in central London. This gig should be 15 quid, but the organisers had some website technical difficulties so they’e now opening their doors for FREE. Their loss, your gain. And it leaves spare cash for a pint – or two!